Hey there! I'm Sage Grayson, a former book editor turned life coach. I help ambitious career women edit their habits, routines, and mindsets to balance their happiness at work and home. 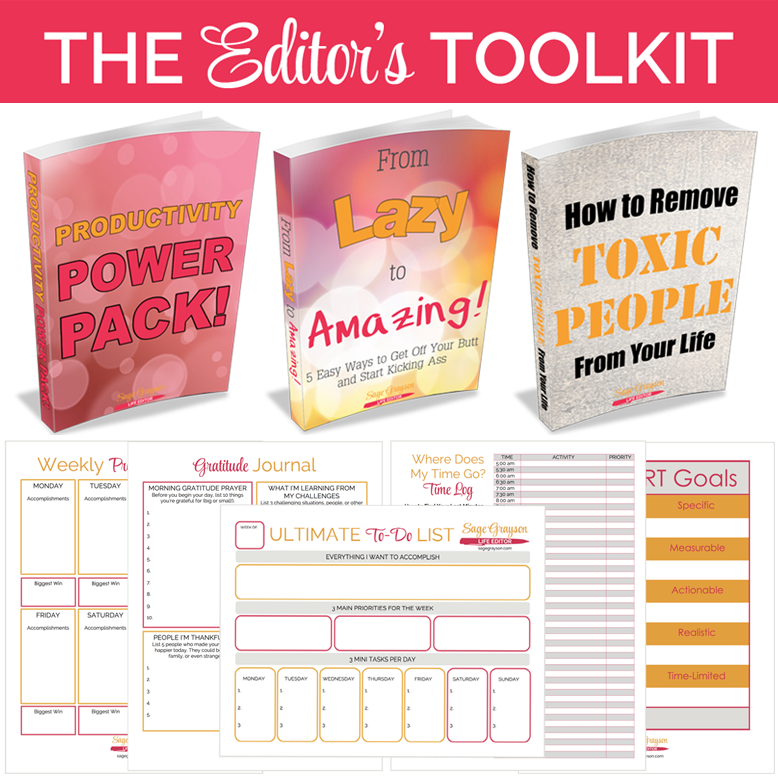 Learn about my 5-step Life Editing Process and how tiny daily edits can help you make positive changes without the overwhelm. One-one-one coaching, VIP Days, and the accountability you need. Your life editing journey starts here! Articles, videos, and more to help you delete, add, and rearrange the parts of your life into a perfect flow. This is my membership site for every single product, program, and service I create. It's your one-stop shop for all my life editing goodies. Enjoy monthly interactive video classes, printable planners and worksheets, and multi-week group programs. Join our group mastermind program for ambitious women who are ready to go after their goals, make tough choices about what they do and do not want in their lives, get real and raw, and push through every obstacle in their way.